Fasting is a term that is known all over the world. Different cultures and religions observe fasts on different occasions especially those which have a religious backing. It is said that fasting brings people closer to the almighty Creator in ways that may not be understood in the beginning. According to ancient eastern cultures, observing regular fasts is known for disciplining an otherwise ordinary human mind while improving their ability to focus and concentrate in everyday life through tough times. So, the meaning of fasting and the reason for which it is observed by different people / sections of the world society has been multi dimensional through centuries together. Fasting is a one day solution which lasts for only one day – Fasts are usually observed for lengthy hours in one single day. No intake of solid food or even liquids ensures not adding to the bulk in the GI system, thus causing the scales to show a temporary loss in weight but nothing more than a few hundred grams. 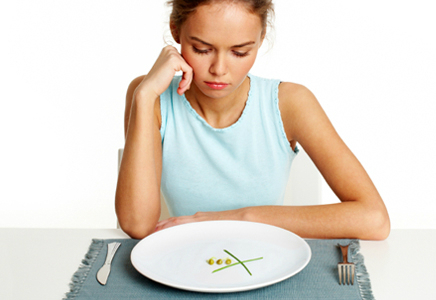 When the fast is broken and you indulge in food as in the usual routine, your weight reruns to as it was. Extreme Fasting leads to lack of nutrition – We don’t observe fasts everyday simply because it thoroughly impractical and unhealthy to do so. Our bodies need proper nutrition and energy on a daily basis to survive and help you through your everyday chores. If you fast every day simply for the sake of losing weight, it will be a matter of days before you become a bag of bones and reach the EU to pass out permanently. The true science behind fasting – Our ancestors were not crazy. They introduced fasting for the everyday ordinary people to ensure proper cleansing of their GI system of all accumulated toxins and giving it the rest it usually does not receive. So, observing fast for one day in a month is enough to do your guts a favor. If you drink lemon juice while fasting, the process of cleansing accelerates. So, losing weight through fasting can be mentioned as nothing more than a temporary side effect. If however, you are bent on food a miss for the sake of shedding pounds, you must approach it the smart way by choosing one day in a week to fast when you will not be overpowered by your everyday activities and chores. Ensure drinking fruit juice or lemon juice in warm water to allow the detoxification effect and try not to over indulge in food once you break your fast.